For more than 50 years The MacDowell Company has been designing and constructing major landscape projects in the New England area. Our attention to site design and architectural detail enables us to fulfill the most specific and diverse needs of our clients. Our highly skilled staff of masonry and landscape artisans ensures the long term quality of each specific project. As testament to our high standard of work, we are honored to be the recipient of both Boston Home magazine’s Best of Boston® award for Best Hardscape & Installation 2012 and Boston magazine’s Best of Boston® award for Best Landscaping 2015. From concept through completion, The MacDowell Company offers the total package of landscape design and construction services. We are capable of designing and installing any element found in the modern landscape, including: walls, terraces, driveways, fencing and structures, pools, recreation courts, play equipment, outdoor kitchens, fire features, all varieties of landscape plantings, irrigation systems, landscape lighting and much more. As landscape architects and craftsmen who design and construct unique settings, we take great pride in our ability to maximize the potential of the land, while paying the utmost attention to detail. 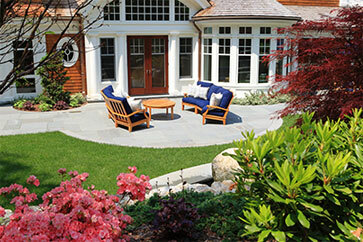 The MacDowell team is unsurpassed in our ability to design and install all aspects of any landscape project. Whether it is a small terrace and garden or a large scale, multifaceted site development, The MacDowell Company team will assist you in achieving your vision for your property and home. 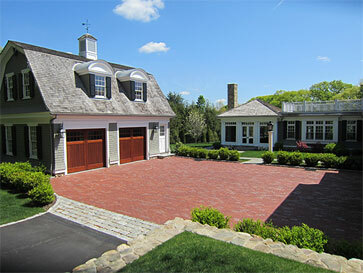 Each MacDowell Company project reflects a commitment to excellence in design, quality and craftsmanship.